All poles have been inspected for cracks, scratches, blemishes or anything else that would make the pole unusable. Aside from aesthetics these poles are in tip top condition. Since these poles were part of the Club rental inventory all of the original manufacturer’s pole wrapping tape has been removed. They are now wrapped in blue JVCC packing tape. Some Altius and Rocket poles more than a decade old have had their label on the center of the pole completely worn away. – these labels were removed and not replaced. 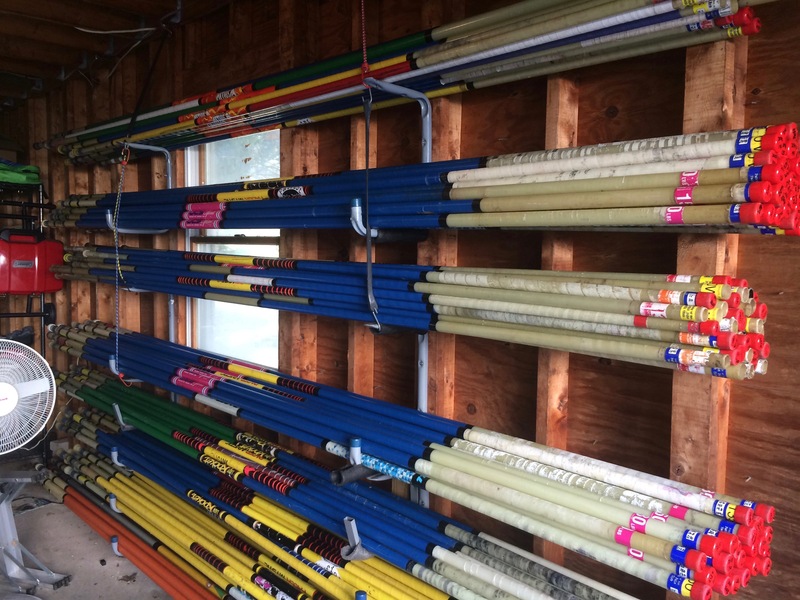 The poles are available for pickup at anytime at PPVC HQ (40B Ruggles Street, Westborough MA 01581) – sorry but we are unable to ship poles.